BF Homes is home to a lot of up-and-coming food establishments, making it the perfect spot for budding entrepreneurs. Luckily for Martin Espiritu and some of his childhood friends, they made their entrepreneurial dream come true when Papi Chulo’s opened shop. The Mexican-inspired restaurant is named out of spontaneity. Papi chulo is actually a popular expression in the Dominican Republic which means ‘cool daddy.’ Peculiar, yes, but the name sticks with you. 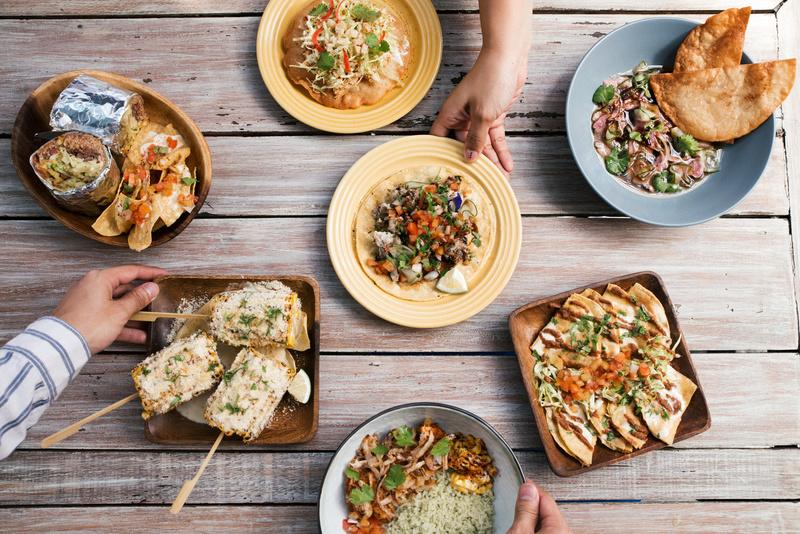 Espiritu wants to mimic the street taquerias that brought fame to Mexico’s food scene, hence the al fresco setup of the restaurant. Streams of colorful bandanas, sombreros, and a Dia de los Muertos (Day of the Dead) mural adorn the place, making you feel as if you’re actually spending an afternoon in Tijuana. While a lot of Mexican food joints are vying for authenticity, Papi Chulo’s goes a different route. “‘Yung food namin, it’s not authentic Mexican. I tried to play with it a lot, [while staying true to Mexico’s original flavors],” says Espiritu. This playfulness can be seen on their menu. The Tuna Aguachile is Papi Chulo’s version of ceviche, a popular dish in Latin America and the Caribbean. 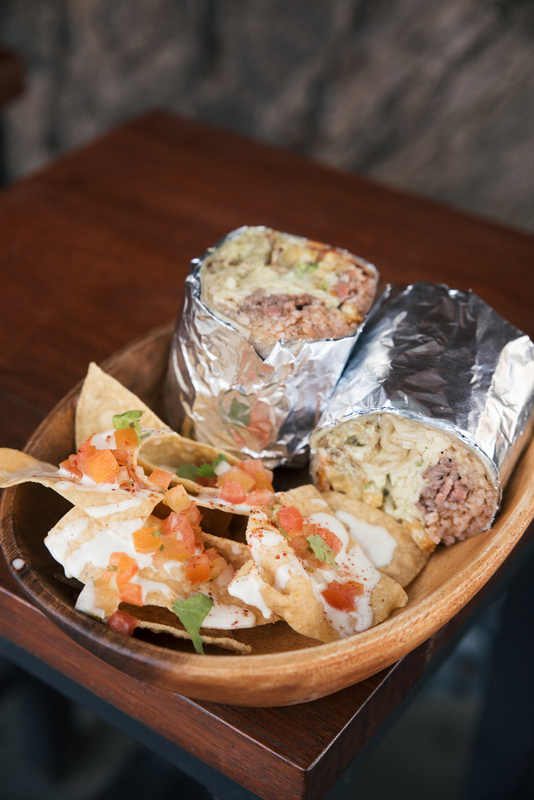 It’s made with fresh tuna cured in aguachile lime marinade, and served with sweet soy. 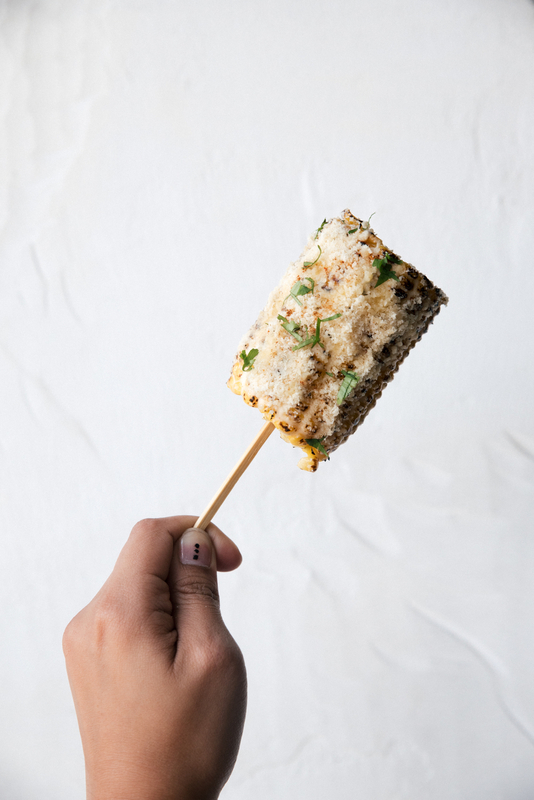 Their Truffle Elote is something you wouldn’t want to miss out on, either. The classic corn on the cob gets an upgrade with truffle cream and lots of parmesan cheese. 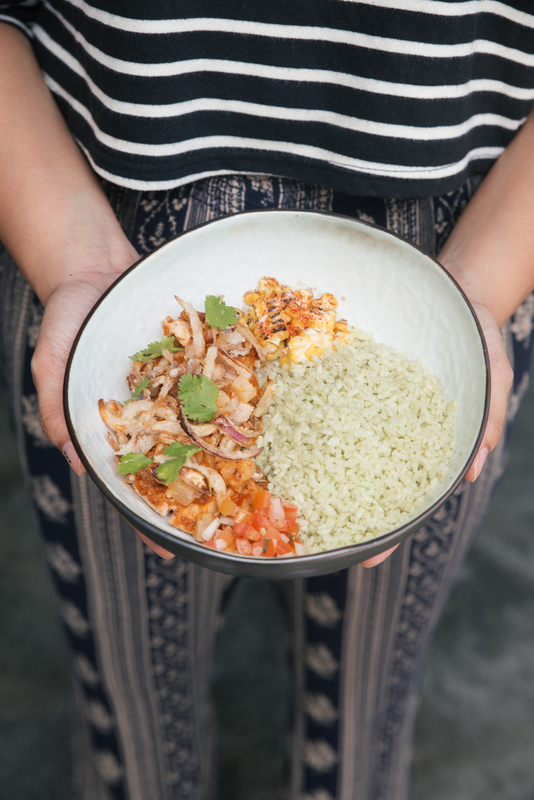 If you’re looking for something heavier, they have rice bowls and burritos available. The Honey Chipotle Belly easily stands out because of the sous-vide (meaning the meat has been cooked for at least eight hours) pork ribs, a generous serving of cilantro garlic rice, esquites, and pico de gallo. Everything on the menu is good enough to be a full meal, but the Chicharon Bulaklak Taco takes the spotlight. Too much of this good stuff can break your heart (literally), but indulging once in a while is fine. The fried chicharon bulaklak is savory and a little sweet, and since it’s an open-faced taco, you have the option to eat it however you want. It’s garnished with pickled cucumber, pico de gallo, and sweet soy, which neatly tie the dish together. 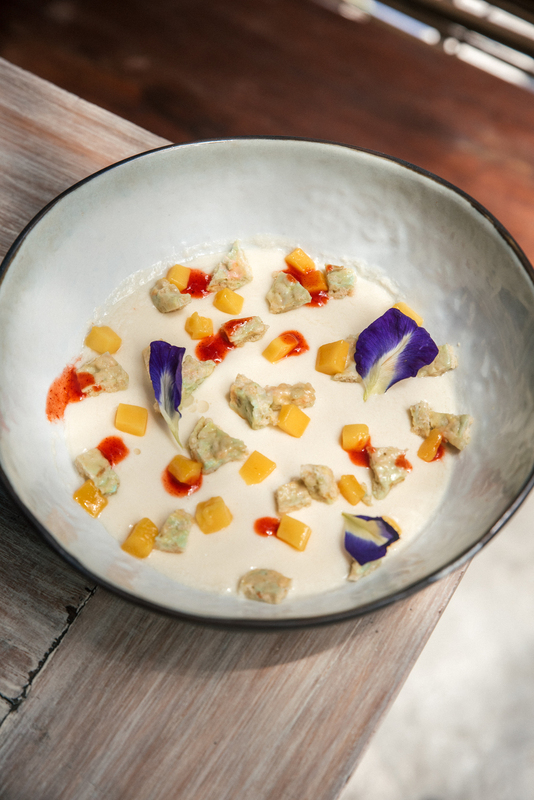 Papi Chulo’s has one dessert on board, the Mango Panna Cotta. But in true Papi Chulo’s fashion, they added a spin to the Italian classic by putting homemade rice krispies, edible flowers, fresh and dried mangoes, and chamoy, a sweet and spicy Mexican condiment. Espiritu said more items will be added on the menu, but with their already-extensive list of unique Mexican fares, it’s only going to be more difficult to choose next time. 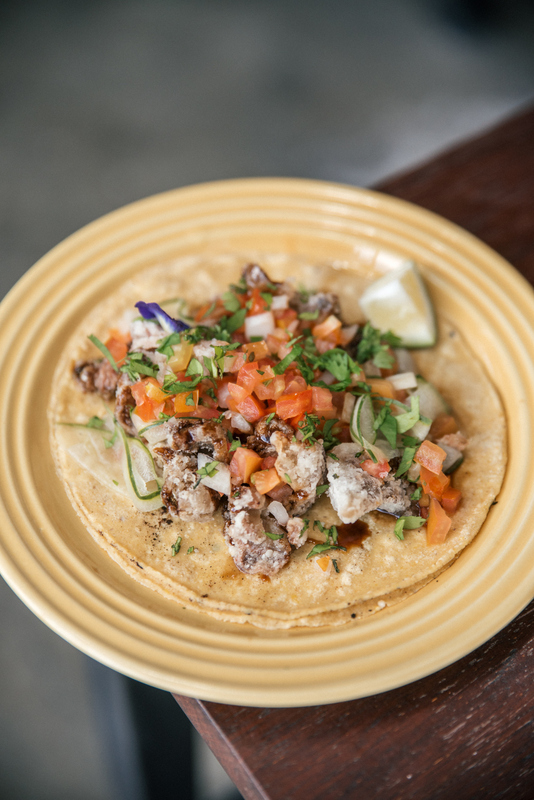 Papi Chulo’s chicharong bulaklak taco is a nod to a Filipino favorite, spun into a Mexican dish.